Alicia Duval graduated from Baylor University with a BS in Biology in 2015 and a Masters of Public Health in 2017. After graduating with her MPH, Alicia was employed by the Sayes Group as the lab manager and project coordinator. She specialized in conducting literature reviews, project planning, and technical writing. During her time in the Sayes Group, she worked on developing new adverse outcome pathways (AOPs), focusing on environmental exposures and their relationship to the development of mitochondrial disease in humans (e.g. Parkinson’s Disease, ALS). Alicia is currently a Physician Assistant Student at Mercer University in Atlanta, Georgia. Anna Rivas graduated from Baylor University in 2016 with her Bachelor's of Science in Biology. After graduation, she was employed by The Sayes Group as the lab and project manager and a research assistant. Her projects included identifying the physiochemical characterization of nickel nanoparticles and cellulose. Anna left our group to pursue her passion of ministering college students. Anna is currently a Missionary at Fellowship of Catholic University Students in Denton, Texas. Patrick Van Burkleo is a graduate from Baylor University and former undergraduate research assistant for The Sayes Group. He has working knowledge in laboratory skills, geographic information systems (GIS), and environmental & human health risk management. Patrick is currently a Client Success Analyst at Compass Professional Health Services, Dallas, Texas. Brendan Camp is a graduate of Baylor University and former graduate research assistant in our laboratory. Brendan took a special interest in the environment and its correlation to a variety of pulmonary diseases. As a research assistant, Brendan worked on additional projects with other team members, assisting them with cell culture and cell characterization. He also presented at the Inhaled Particles XII Conference in Glasgow, Scotland (September 2017). Brendan is currently a Medical School Student at West Virginia School of Osteopathic Medicine in Lewisburg, West Virginia. Andreanna graduated from Baylor University with a Bachelor’s of Science in Biology. Andreanna’s past projects included identifying which individual proteins make up a protein corona (i.e. cloud of adsorbed proteins) using various analytical techniques, including: Proteomic LC-MS, SDS-PAGE, Western Blotting, and ELISA. In doing so, she evaluated the similarities and differences of multispecies serum-types to three unique nanoparticle-types. She plans to attend graduate school as a PhD candidate in Molecular Genetics. Andreanna is currently a postgraduate researcher at Yale University School of Medicine in New Haven, Connecticut. Brooke McMinn served as Lab Manager and Project Coordinator for our laboratory. She graduated from Baylor University in 2017 with a B.A. in Psychology and Medical Humanities. Brooke plans to go to graduate school in the Summer of 2018 to receive a Master’s degree in Medical Sciences at the University of North Texas Health Science Center. After earning her Master's degree, she hopes to attend medical school to pursue her dream of becoming a primary care physician in a rural, underserved area. Brooke is currently a Medical School Student at Texas College of Osteopathic Medicine in Fort Worth, Texas. Easton Evans was a graduate student and research assistant for the Sayes Group. 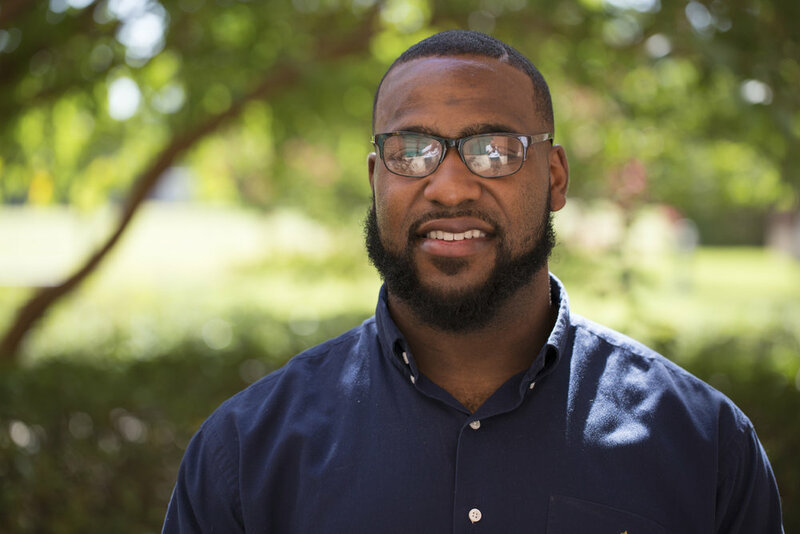 After graduating from University of Arkansas with his BS in Environmental Science, Easton made his way back to his hometown of Waco, Texas to pursue his Master’s degree in Environmental Science at Baylor University. His current project involves identifying the social science aspects of greenhouse gas emissions in at-risk neighborhoods (e.g. neighborhoods with industrial plants). This includes applying theory-based tools to collect information about a community’s knowledge and beliefs about greenhouse gases and their effect on the environment. With regard to environmental science, Easton is most interested in sustainability and toxicology. He is trained in geographic information system (GIS) and holds certifications in quality assurance. Ultimately, Easton hopes to further his initial research and create a biological sequestering agent that helps decrease the world’s carbon footprint especially in high emission areas. Easton is currently a Data Analyst at Kodiak Cakes in Salt Lake City, Utah. Madison Stewart is from Georgetown, Texas. She was an environmental science major with a concentration in natural sciences at Baylor University. She joined the Sayes Group to gain valuable laboratory experience and better understand the applications of nanotoxicology in environmental and public health. She has a passion for agricultural health and toxicology and hopes to use her experience in the Sayes Group to pursue further education on the prevention of agricultural exposures and related illnesses. Madison is passionate about this field and is a wonderful asset to our team! Madison graduated with her BS in May 2018. She is currently an Occupational and Environmental Health Graduate Student at the University of Iowa in Iowa City.